BDI, a 501(c)(3) nonprofit organization located in San Diego, California, focuses on addressing the social, emotional, and psychological barriers to living a long and healthy life with diabetes. To better understand and overcome these obstacles, BDI is actively engaged in research examining the psychological aspects of diabetes and evaluating innovative behavioral interventions. 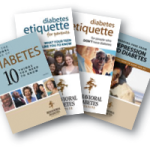 In addition, BDI directly offers an array of unique, behaviorally-oriented products and services for: people with type 1 diabetes; people with type 2 diabetes; parents of children and teens with diabetes; spouses and partners of people with diabetes; and interested health care professionals. Products and services include print materials; online courses and modules, face-to-face workshops and seminars, professional training programs, and an online library of resources. We invite you to explore the resources available to you from BDI. We also welcome your suggestions for additional resources that might be added to our web site. Thank you! Dr. Polonsky will be a keynote speaker at the Annual Quality Symposium for the SCAN Health Plan in Lakewood, CA. BDI’s Case Consultation Group for Mental Health Professionals meets at BDI Headquarters in San Diego, CA. at 10:00 am. Dr. Polonsky will be speaking on “Tools to Face the Psychological Demands of Diabetes” to people with type 1 diabetes at an evening program sponsored by the Samsum Diabetes Research Institute and JDRF collaboration in Santa Barbara, CA. TCOYD Conference and Health Fair, Honolulu, HI. Your Diabetes Tune-Up Introductory Evening for people with Type I and II Diabetes, 6:30-8:00 pm at BDI offices, San Diego, CA. Dr. Guzman (BDI, Director, Clinical Education) will be one of the featured speakers at the Women Leader in Diabetes Conference, in San Francisco, CA. Welcome to BDI’s April update! Are you and your diabetes ready for a new adventure? On April 30, BDI introduces Your Diabetes Tune-Up, a six-month group program (this will be a once-a-month evening meeting) here in San Diego, where Drs. 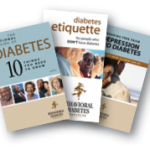 Polonsky and Guzman will be helping you to get back on track with their diabetes. So if you are feeling tired, frustrated or overwhelmed with diabetes, or worried about complications, or struggling with how to fit diabetes into your life, or feeling that family and friends just don’t seem to understand, then Your Diabetes Tune-Up might be right for you. Want to find out more? Then join us for a no-obligation, introductory evening on Tuesday, April 30, 6:30 – 8:00 pm at BDI World HQ (5405 Oberlin Drive, Suite 100, San Diego, CA 92121). We will discuss the emotional side of diabetes, present practical real-life strategies to help you manage life with diabetes more easily and successfully, and—for those who are interested—describe the Your Diabetes Tune-Up program. All people with 1 or Type 2 diabetes and their loved ones are invited to the introductory event on April 30 which is FREE! For more information, see the attached flyer or contact us at info@behavioraldiabetes.org. On April 10, Dr. Polonsky will be a keynote speaker at Annual Quality Symposium for the SCAN Health Plan in Lakewood, CA. He will be presenting to healthcare professionals on “Engaging the Disengaged: Strategies for Promoting Behavior Change in Diabetes”. On Wednesday, April 17, BDI will again host our monthly case consultation group for mental health professionals here in southern California. If you might like to join us and/or would like further information, please contact us at info@behavioraldiabetes.org. On April 23, Dr. Polonsky will be speaking in Santa Barbara, CA on “Tools to Face the Psychological Demands of Diabetes” to people with type 1 diabetes at an evening program sponsored by the Sansum Diabetes Research Institute and JDRF collaboration. Please see the attached flyer for more information. On April 27, Dr. Polonsky will be presenting to both healthcare professionals and to people with diabetes at the TCOYD (Taking Control of Your Diabetes) event in Honolulu, HI. We hope to see many of you there. A new research opportunity: Are you a spouse or partner of an adult with type 1 diabetes? In approximately two weeks, BDI will be starting a new online survey study that examines your experiences and feelings about hypoglycemia. We need your help! 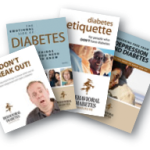 If you might be interested, just send your email address to info@behavioraldiabetes.org. When the survey study goes live, we will then send you a link that will provide you more information about the study and explain how you can be involved. And a big event in early May: On May 10, Dr. Guzman (BDI, Director, Clinical Education) will be one of the featured speakers at the Women Leader in Diabetes Conference, in San Francisco, CA. Finally don’t forget our awesome new CME video series. The first series of nine web-based video modules for health care professionals, “Critical Psychosocial Issues in Diabetes” are now available, at no cost! Hundreds and hundreds of healthcare professional from all over the United States have already viewed them, and the numbers are growing every day! See https://cme.ucsd.edu/psychosocialdiabetes/. We give thanks to the generous support of Eli Lilly, Boehringer Ingelheim and Merck for making this possible. 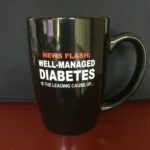 FEATURED PRODUCTS: The BDI Coffee Mug and our most popular Print Bundles.